Courcelles has blonde hair and wears a Monk’s habit with high-collared black cape, and a white robe with rope belt. 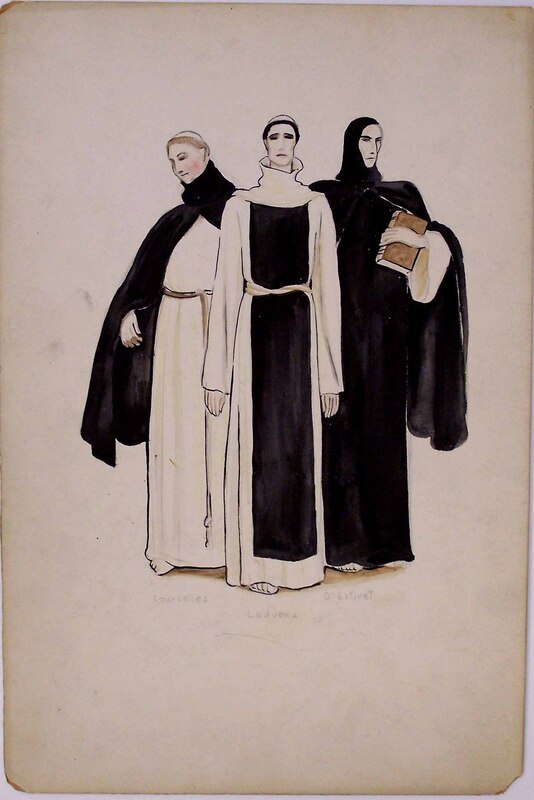 Ladvenu has black hair with hands at his sides and wears a Monk’s habit, a high necked white cowl, and a black sheath covering the white robe. D’Estivet clasps a book with his left arm and wears a black robe.